Feel the powerful vibration of Love! as we embark on a musical journey through the Universe. Sit by the bonfire! Turn on your love light and let your soul shine, let it shine, let it shine! filled with Love and Light! You have to feel it to believe it! Each experience is unique. Halloween is a time when the Vail is very thin and makes it easier to experience and connect to our loved ones that traveled to the other side of the Vail before us. I don't know of any other place, that would be better to experience this, then the Farnam Manor with Dead ahead Ohio on Saturday. So, anybody that is looking for a Death Halloween experience, you came to the wrong place. Please, check out any of the other 100's of Death Halloween experiencing's you want. There's something big going on at the spiritual Farnam Manor! It's a new vibration of Love and it's stronger than ever. You have to feel it to believe it! Centuries ago, Halloween was a time to honor the Spirit of those who have passed on before us. 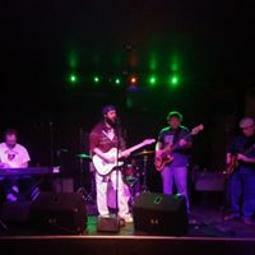 What better way to tribute the Dead than to get into the vibe of Love? 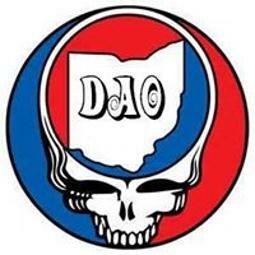 Grateful Dead tribute band, Dead Ahead Ohio, will take us on a musical journey like no other. Sit by the bonfire,...dance under the stars like nobody's watching and let your soul shine! Bring a chair or blanket. Bring your own beverage and snacks. The legendary Farnam Manor will be open for self guided tours 7pm-12am. Open house and Trail to the Unknown is included with ticket price. Stay after midnight for just 5 extra bucks! You're welcome to bring a tent or sleep in your car. Proceeds benefit the mission of sharing the Greatest Story Ever Told.... Thanks for your assistance in sharing the message of Love through the preservation of the Farnam Estate for the good of Humanity! The greatest story ever told! The ageless story of love! Halloween and Love? Oh yeah, that's strange. Centuries ago, Halloween was a time to honor those who have passed before us. Death is at once the end of the body's journey and the beginning of the soul's new journey. Life is an endless journey of lessons and victories. Please join us in Honoring to the Spirits! Get into the vibration of Love! 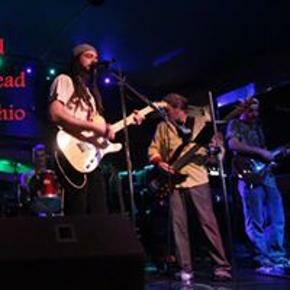 Take a musical journey with Dead Ahead Ohio. 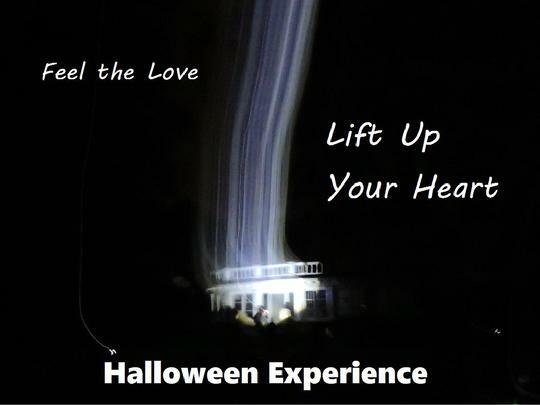 The Spirit of Farnam Manor emits a vibrant vibration of Love and Light! You have to feel it to believe it! It has been described as an angelic vortex. People even encounter the Spirit of their own loved ones. According to founder, Jerry Garcia, The Grateful Dead took their name from a dictionary entry he saw about a folk tale motif of a wanderer who gives his last penny to pay for a corpse's debts burial, then is magically aided by the spirit of the dead person. The Spirit is always with us on our journey. Love never dies! Stories are told of days when the Grateful Dead played at the Richfield Coliseum, right down the road. After the concert, deadheads camped at Farnam Manor. History repeated itself in June 2017. 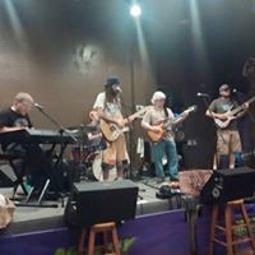 After the Dead and Company concert at Bossom Music Center, 250 concert goers gathered and camped at Farnam Manor. The vibration of Love was strong as hands were raised to the heavens in thanks and gratitude to Jerry Garcia. Farnam Foundation, Inc. was formed in 2007 as a nonprofit corporation, and now owns the property. It is the obligation of our generation to insure the message of love continues to be shared for generations to come through the preservation of the Farnam Manor.